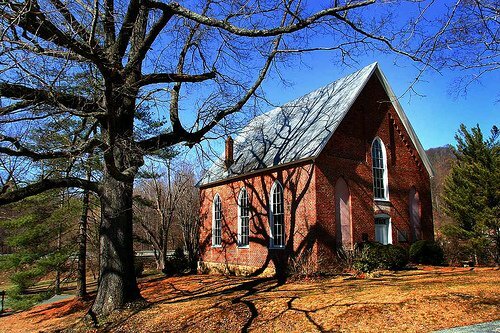 Country church in rural Virginia (USA), built in 1802. Image: Americana: Virginia Roadside; uploaded to Flickr by user babasteve in March 2006 under a CC-Attribution license. This work is licensed under the Creative Commons Attribution 2.0 License. This template should only be used on image pages. This page was last modified on 10 March 2009, at 22:56.